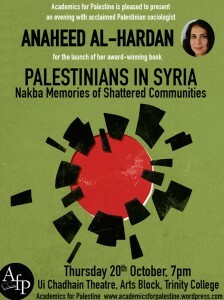 The launch of ‘Palestinians in Syria: Nakba Memories of Shattered Communities’ by acclaimed Palestinian sociologist Anaheed Al-Hardan. One hundred thousand Palestinians fled to Syria after being expelled from Palestine upon the establishment of the state of Israel in 1948. Integrating into Syrian society over time, their experience stands in stark contrast to the plight of Palestinian refugees in other Arab countries, leading to different ways through which to understand the 1948 Nakba, or catastrophe, in their popular memory. Conducting interviews with first-, second-, and third-generation members of Syria’s Palestinian community, Anaheed Al-Hardan follows the evolution of the Nakba—the central signifier of the Palestinian refugee past and present—in Arab intellectual discourses, Syria’s Palestinian politics, and the community’s memorialization. Al-Hardan’s sophisticated research sheds light on the enduring relevance of the Nakba among the communities it helped create, while challenging the nationalist and patriotic idea that memories of the Nakba are static and universally shared among Palestinians. Her study also critically tracks the Nakba’s changing meaning in light of Syria’s twenty-first-century civil war. Anaheed Al-Hardan is an assistant professor of sociology in the Department of Sociology, Anthropology and Media Studies at the American University of Beirut. She serves on the advisory board of the Palestinian Oral History Archive at AUB and is a policy member of al-Shabaka: The Palestinian Policy Network. 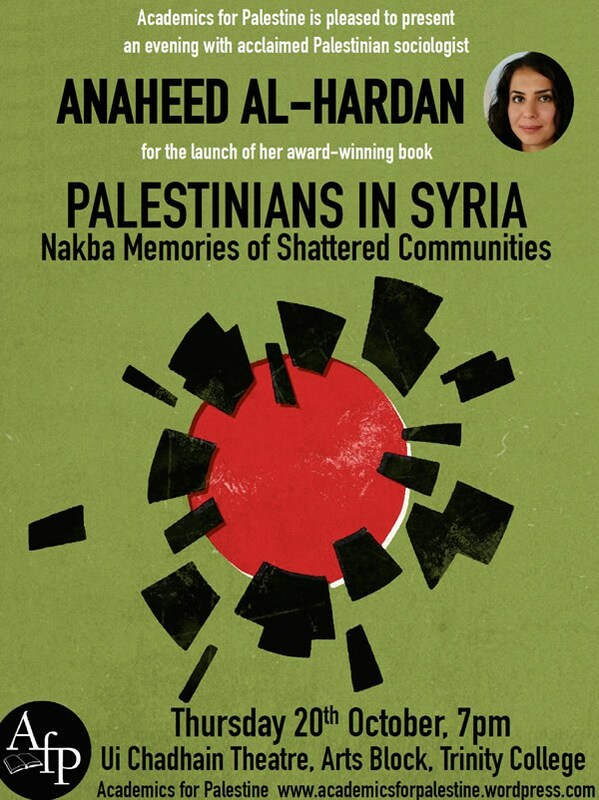 Her book Palestinians in Syria has been shortlisted for the 2016 Middle East Monitor Palestine Book Awards. Her new research examines Arab decolonial theory within the context of south-south philosophies of liberation and decolonization.